A gated community consisting of six apartment blocks with 10, 12 and 14 floors. The complex is located in Iskele, which is only 18 km away from Famagusta. 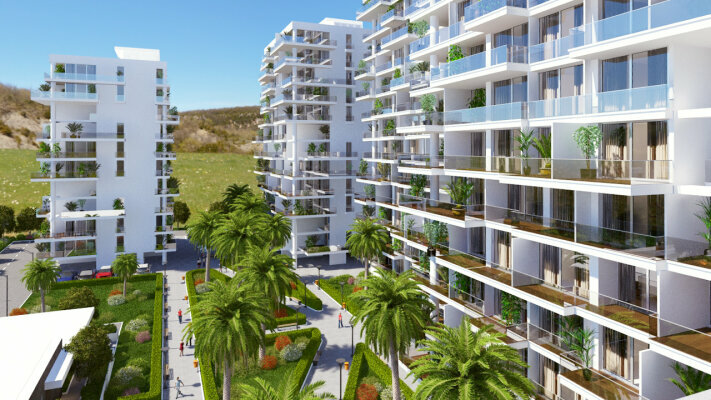 Its infrastructure includes outdoor & indoor swimming pools, supermarket, cafes, fitness center, tennis court, basketball field, sauna, children's playground and parks; and is located 200 meters from the sea. It comes with a 2 year rental guarantee of 7.5% per year!